Alex, Michelle and Justin discuss the unique elements of their true crime horror film "Hellmington". On Wednesday May 6th at 9pm we will be holding a vigil in support of Katie Owens' memory. We will be joined by friends and family and the documentary filmmakers who will be able to give us some more insight in regards to their investigation and their progress with the case. This will not only be an event to honour Katie's memory but a way to connect as a community and support the ongoing search for her whereabouts. This is so great. You're doing such an incredible job of keeping it beyond original!! Keep it upppppp!!! Awesome to see that you guys were in the 48 Hour Film Project last year. We made "Drift". I loved your film. Well done. Good luck getting to Top 5. 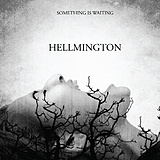 Team Hellmington, I'm still liking your movie project. Your right, it still appeals to wide audience of viewers. I think you will have people rooting for Katie Owens. Good luck in the next couple of weeks! Congrats on the Top 15 Hellmington Team! As a fan of Blair Witch this film is right up m y alley. Hope to see ya'll in the final 5. Not surprised that you made Top 15, way to go!!! So happy for such a great group of people with an excellent idea! Congratulations on making it to the Top 15. You definitely deserve it. You guys are amazing and your hard work, skill and artistic ability really shows with every challenge that you are given. You always get my vote. Congrats on making the top 15..
the top 15!!! Fantastic work to all of you. Very deserving. Can't wait to see what comes of it for the final round!! Good luck!